The Humana Walmart-Preferred RX Plan is billed as one of the Part D drug plans with the lowest monthly premium. A low monthly premium is important but, just with any Part D plan, all the moving parts must be taken into consideration to determine a plan’s true cost. The Humana Walmart branded Part D plan for 2013 has a monthly premium of only $18.50. In addition to the low monthly premium, it is presumed that the member will also save money when using preferred pharmacies and benefiting from some mail order co-pays of $0. It’s no surprise that a lot of people purchase based on price. This is no different if they are buying groceries, clothing and…. Part D drug plans. 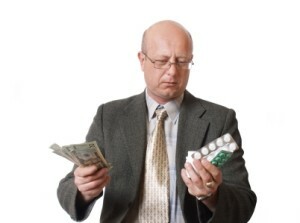 Medicare Part D can be overwhelming. First you have dozens of available plans to choose from and they are all different to some degree or another. It’s easy to just pick the one with the lowest premium and hope for the best. With the Humana Walmart-preferred RX Plan the devil is in the details. 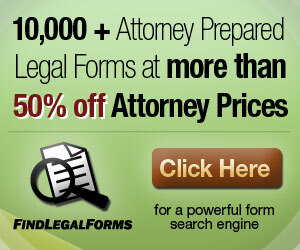 Using the RightSourceRx mail order plan will also result in rich benefits. So far things are looking pretty good, assuming all your medications are included in the plan formulary and placement of drugs into a specific tier is comparable to what other companies are doing. But the cost of going out-of-network can be a cruel slap. These higher co-pays and coinsurance percentages at non preferred pharmacies can add up quickly and wipe out any savings you may have realized on monthly premiums. Let me point out that I am not bashing Humana or Walmart, but rather bringing to light the aspects of the Humana Walmart-Preferred RX Plan that you should be aware of before you purchase on price alone. This is not the only plan available from Humana, and while others may have a higher premium, they offer an expanded formulary and more freedom of choice when choosing a pharmacy. This plan will work for many people. If it did not offer value to a certain segment of the market, it wouldn’t exist. Consider this plan if your drugs are included in the formulary and you don’t mind using preferred pharmacies or mail order. Even with the annual deductible, you may come out ahead, especially if you are able to utilize the RightSourceRx mail order program. 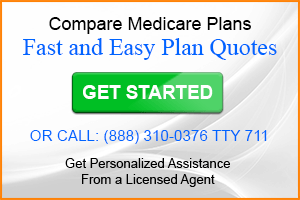 If on the other hand, you require an expanded formulary and you prefer pharmacies that will cost you more, you should compare Medicare Part D drug plans to be certain your drugs are covered. Can I see a formulary, please. Louise, Here is the link for the Humana Walmart-Preferred RX Plan formulary for 2011. Remember, you will receive the best value at preferred pharmacies. Sylvia, you may find it to be easier to enroll in the Humana Walmart-Preferred RX Plan after the Annual Enrollment Period begins on November 15. Between October 1 and November 15 an agent can give you an application for the plan but is not legally able to accept it until the enrollment period begins. It’s easiest to enroll in a Part D plan during the annual enrollment period beginning November 1 and ending December 31. Agents become a lot more enthusiastic when they know they are actually writing an application they can submit to the insurance company. Gert, Here is the formulary for Humana Walmart Preferred RX Plan. I found it on the Humana website. I hope it’s what you are looking for because I could not find the formularies for Humana Standard PDP, Humana Enhanced PDP or Humana Complete PDP. It would seem they are keeping them a secret. We are considering changing our RX insurance to Humana walmart.Can you tell me the cost of plavix and the generic Xanax, I have taken the xanax since 1994. Why has this medication increased so much over the years, even the generic. James, Formularies can vary based on region. The Humana Walmart-Preferred RX Plan formularies can be found at the Humana website. Scroll down to find the Humana Walmart plan for where you live. Once you open the document you will see all medications listed alphabetically as well as which tier they are listed in. I’m not sure where you live, but I checked for Alprazolam as well as Xanax and didn’t see ether listed. I located Plavix. It is listed as tier 4. Tier 4 for a preferred pharmacy is 35% coinsurance and 50% coinsurance if you are not using a Walmart, Sam’s Club or Neighborhood Market Pharmacy. I’m not sure what Humana pays for Plavix, but I’m guessing that 35% or 50% will probably result in a significant cost. You may want to speak with a Humana agent to get a better idea on costs. I would like to know if there is a published list or website link that allows us to search for area preferred pharmacies for the upcoming Walmart-Preferred Humana plan other that Wal-Mart or Sams Club. Can you explain what a neighborhood market pharmacy is and how to obtain a list of them for my area? My parents would like to take advantage of the maximum benefit under this new plan though are a little uncomfortable yet with mail order and are looking for local alternatives to Wal-Mart. Steve, Neighborhood Market is a retail chain owned by Walmart. Here is a link to a store locator. Scroll down and choose Neighborhood Market under store type. Unless your parents are ready to embrace the Humana RightSource mail-order option they will need to use Walmart owned retail stores to enjoy the full benefits of the Humana Walmart-Preferred RX Plan. I have received my ID card for the humana/walmart part D plan and cannot find how to get prices and co-pays for the meds I take. I’m trying to find out what my out of pocket costs will be after thedeductible. Thanks. Judy, The determining factor for what your out-of-pocket costs will be with the Humana Walmart-Preferred RX Plan will be the 2011 Humana formulary for your area. The formulary will categorize your drugs into tiers. Humana formularies vary by region. Here is a link to Humana’s printable drug lists. Scroll down until you see the Humana Walmart Medicare drug plan for your State. Choose comprehensive for the list type to be opened as a pdf. If you find that some of your medications are not listed in the comprehensive formulary, they will not be covered and you will need to contact your pharmacy to determine the cost. Bukeye Rd on the bottle onle to be told that is the wrong place. The doctors office then faxed scrips to their fax. When called to seei if they receive fax. I was told it would take 72hours till they would know.then I would still have to wait 10-14 days. Real frustrated. They could find a cure for MS sooner. Daffy, I know working through some of the delays can be frustrating, but if you have the Humana Walmart Preferred Part D plan the savings of using Humana’s Right Source mail order option can be substantial. Why would a 3-day prescrition on the Humana/Walmart plan cost over $300.00 at Walmart and only $22.00 at Walgreens? Mannie, If these costs are calculated using the same plan, they shouldn’t. If you are comparing another plan to the Humana Walmart Part D plan the only way that it would seem feasible is if other plan doesn’t have an annual deductible. Remember that the Humana Walmart plan has a $310 annual deductible. Is this only for medicare patients or can anybody use this? John, Humana Walmart-Preferred Rx plan is a Medicare Part D plan and you must have Medicare to participate. Hello my name is Wanda. I just recently enrolled my dad in the Blue Medicare Regional PPO Plan part D. Can my dad still continue also to get savings on other drug plans like Astrazenecca and other like Astrzenecca under this Blue Medicare Regional PPO Plan Part D? Thank you for our help! Wanda, refer to the formulary for drug costs.